Besides providing an excellent base for professional development, a degree in English literature can offer you unmatched intellectual challenges. The Department provides courses in all major historical and national areas of literature in English. It also offers courses in creative writing and literary theory, along with general interest courses in literature and film, children’s literature, science fiction, and literature and the environment. The Honours Program allows more extensive and focused study than is possible in the Majors Program, offering a particular concentration of courses in the core periods and problems (3000-level). Yet, it can be combined with a Minor in another area of study. This academic focus and breadth makes this program an excellent preparation for students who are seeking admission to professional or graduate programs, or who intend to pursue careers in senior secondary education. The Major Program allows students to have the same range of course experiences as the Specialization Program– including the same number of Seminars and Special Topics courses at the 4000-level– but offers a greater number of electives, so that students might pursue a broader range of interests. 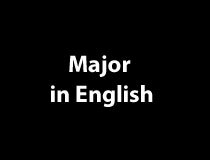 Majors can combine their degree with either a Minor or a second Major. It is an excellent preparation for students wishing to pursue careers in such fields as education, communications, public policy , consultancy, advocacy, or marketing. 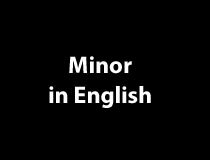 The Minor Program allows students who are following Major or Specialization programs in other disciplines the opportunity to pursue and sustain their interests in literary studies. It offers both a solid background in the major literary traditions and, through a combined 21 elective credits, the opportunity to explore those areas that interest students the most. These courses provide exactly the same skills and experiences that make an English program valuable to Majors and Specialists. 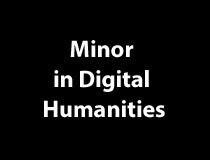 The Minor in Digital Humanities allows students of English Literature or another discipline to learn computational research methods and acquire practical skills in digital media design. The program offers introductory workshops at the first and second years, a wide range of electives, and a capstone final-year project. This is an excellent way to add a practical new media component to the traditional skills of an English Literature degree. It prepares students for careers in a wide range of fields, including new media, public relations, museums and archives, education, and public policy. The Entrepreneurship, Creativity and Social Innovation option was thoughtfully crafted to cater to our makers, shakers and risk-takers! Our baccalaureate programs offer a historically grounded introduction to the Anglophone literatures of Canada, Britain, and the United States. In our introductory courses, students learn to situate literary texts within their historical and cultural contexts, and to practice the skills of close reading, critical analysis, and argumentative writing that are essential for success both in English classes and in many other fields. Upper-level courses and honours seminars provide opportunities to explore particular topics in greater depth, from medieval romance and early modern drama to First Nations writing, contemporary poetry, and critical theory. Students can also take courses in creative writing, and/or contribute to one of our student publications. Our department also has an active undergraduate students' association, which organizes a number of events and activities throughout the year, from a 48-hour novella-writing competition to informal get-togethers for students and faculty. 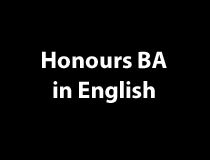 Both the major and the honours with specialization in English may be taken with a co-op education option. In this popular program, students complete four paid work terms in addition to their university courses, enabling them to explore different career options by putting their skills to work in a variety of professional settings. Our faculty also contribute to interdisciplinary education by teaching courses cross-listed with Canadian and Aboriginal studies, Medieval and Renaissance studies, Women's studies, and Environmental studies. We provide training in expository writing for students in all academic programs, and offer general interest courses in such areas as literature and film, children's literature, science fiction, and literature and the environment. As a future student, you’ll find everything you need to complete your application to an undergraduate program and learn more about the University of Ottawa. Would you would like to spend a day on campus, attend a class, meet with an academic advisor, speak with professors, visit the campus and its residences? The Financial Aid and Awards Service encourages University of Ottawa students to fulfill their dream of pursuing postsecondary education. 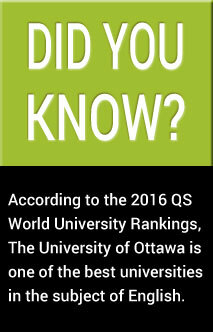 The Centre is an on-campus one-stop shop for information on opportunities in Ottawa and around the world. From 8:45 a.m. to 12 p.m.
From 1 p.m. to 4:30 p.m.